This template with an image of bar graph showing success helps you chart the course of your presentation. 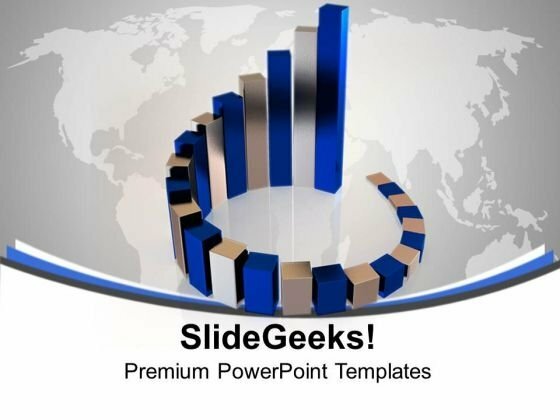 Adjust the above image in your PPT presentations to visually support your content in your Business PPT slideshows financial reports, growth rates, global business etc. Deliver amazing presentations to mesmerize your audience. Get on the list of audience favourites. Experience adulation with our Blue And Gray Bars Business PowerPoint Templates And PowerPoint Themes 1012. Our Blue And Gray Bars Business PowerPoint Templates And PowerPoint Themes 1012 afford a distinct approach. Your thoughts will acquire a different character.